I want to get one last post done before I go Missing In Action. Seems I have some real nasties on my computer and it is going to have to go to the Doctors for a check up. I have managed to clean it up enough to post this at least before I go!! Technology - who needs it?!!! This is the second Birthday card I made for my daughter to give to my husband on his birthday. I was pretty pleased with this one. Who said men don't like a bit of bling! I put Dazzling Diamonds on one of the gifts and a peice of ribbon on the project too. My husband was really impressed with this one. 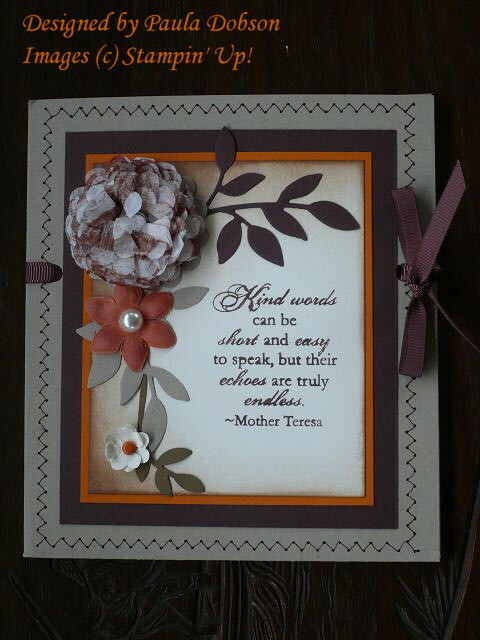 I have used an image from the SAB stamp set Happy Moments. It is such a cute set and the pile of presents was just what I was after. I know I have gone all grey again-but really like monotones anyway! I have also used the Colour Spritzer tool to add texture to the card base and also a bit of hardware. Guys like hardware! By grunging the card stock, I have still managed to keep the card masculine, even with ribbon and glitter on it! So, I don't know when I will be back. But don't abandon me, will you? It is only a temporary interuption to transmission!! Love you all! Well, I promised to show the cards I made for my husband's birthday, and here is the first one. 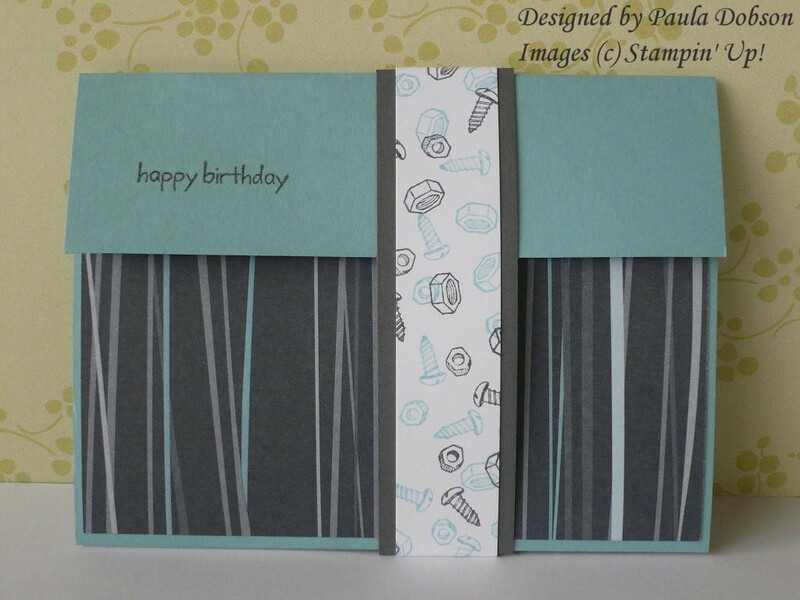 I find male cards particularly hard to make, so am always thrilled when I come up with an idea that works. I am also pleased when my husband likes them, as he is my harshest (but fairest) critic! 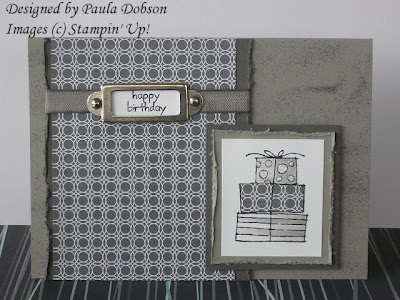 This card is really a present in a card and was inspired by a swap I received from Patrice Halliday-Larsen. Go check out Patrice's work, she is such a talent and I am continually inspired by her! I have used the "Lots of Bots" set, but didn't want the little boy look with the robots on this peice. I only used the Nuts and Bolts, and I then used DSP to add more interest. Once you slide the belly band off, that's when it gets really interesting! Inside, I have created a double pocket and added tags. The first tag holds my message and Birthday sentiment, the second, holds a gift card! My husbands reaction was great. He thought this wee card was the best I had made him yet. I take that project as successful!! I thought I would share another door prize I made up a couple of weeks ago. I just made up a basic box and added a handle to this wee baby. I love the new 2 Step Bird Punch, so thought it would look cool with a Birdhouse look. I punched out the window and added a Window Sheet behind. 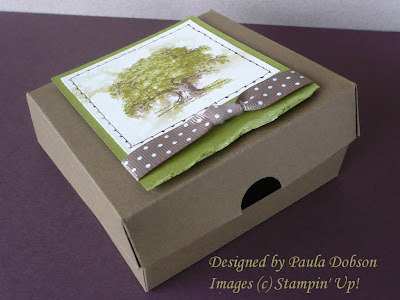 I also added texture to the box, by running it through the Big Shot using the Perfect Polka Dot embossing folder. I also sponged the edges of the box. The box came full of Mackintosh's Toffees for the lucky winner. Accessories: 2 Step Bird Punch, extra CS for punching, Sponges, Brads, Ribbon, Window Sheets, Dimensionals, Big Shot & embossing folder. I thought I would share some photo's of the training day our extended Creative Inkers team held in Auckland last weekend. It was a very busy day, but full of fun, laughter and friends. I know so many of these talented women on the internet, that finally putting faces to names, voices and emails, was fantastic! This is what a room of 50+ Stampin' Up! Demonstrators looks like! While I was scared stiff about standing in front of everyone to teach my signature Sponging techniques, they were all very kind to me and made my class effortless! It helped to have a captive audience! Karen Rogers (background) helped me to keep it real, by not going to fast! Thanks Karen! Ann Wills (on my right) also presented a WOW from Convention for us all, along with Julia Leece (not pictured). Jacque Pedersen heads our fantastic Million Dollar team. Jacqui presented business facts and figures and also awarded our top three Demonstrators of the year with our own team awards. I love recognition amongst our team! Thanks Jacque for showing us our dreams can come true! 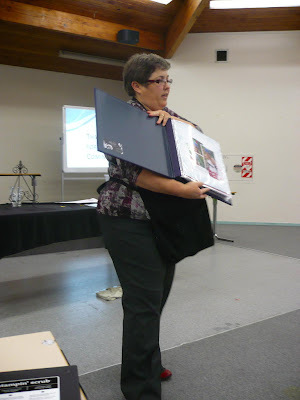 This is the wonderful and VERY talented Delys Cram who completely WOWed us all with her fabulous scrap book tips and techniques. 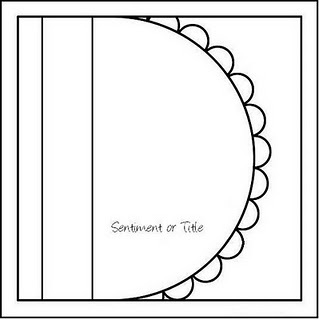 I even made a scrapbook page, so unlike me! Once I have finished my version of Delys's creation I will post it on here for you all to see! 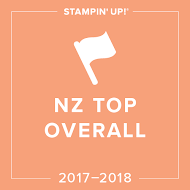 I have just enjoyed the MOST memorable day I have had since joining the Stampin' Up! Family. 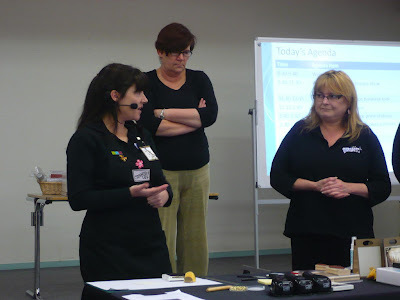 I got to spend the entire day yesterday with 50 plus, fellow team mates and demonstrators in Western Springs, Auckland. We came together to enjoy a day of creating, team building, and sharing what we love to do. 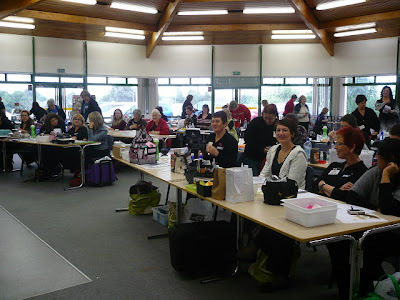 I was lucky (and very honoured) to do a two hour presentation to these very talented ladies, sharing my techniques on Sponging, that I love to do. I was extremely nervous to begin with, but everyone made it very easy for me to relax and I enjoyed every minute! I also had the pleasure of learning from the wonderful and talented Delys Cram, who shared with us many of her scrap book techniques and tips as well as a gorgeous layout. Jacque Pedersen, our team manager, presented business tips and team awards. 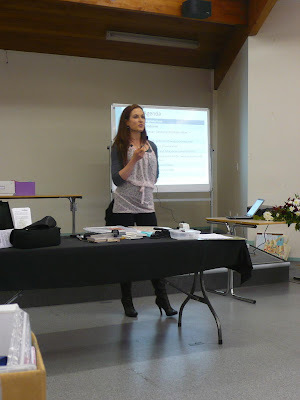 Jo Donson, Image Consultant, gave us all something to think about in how we presented ourselves, which included a lot of laughter! And last, but certainly not least, I got to spend time with my very good friend, Bron Heslop and her lovely family. I thank my lucky stars very day for the opportunities that have come my way since becoming a demonstrator. If you want what I have - then come join me! 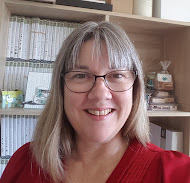 I would love to welcome you to my team. 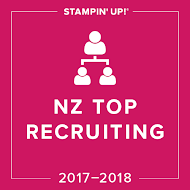 Now while I am in Auckland, I thought I would leave you all with another post. This is what happens when I get to playing and really should be working instead! I love this level two Hostess set "Asian Artistry". 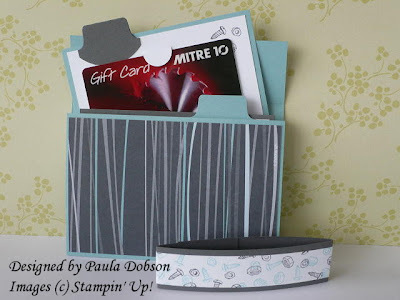 It really lends itself to the sponging cards I so love to do. If you would like this set too, then you will need to see me about booking a workshop! Why pay for a stamp set when you just might earn it for FREE! 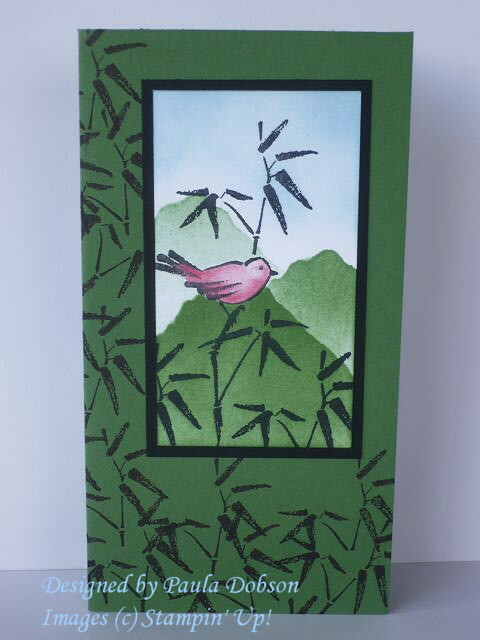 The bamboo and bird are one stamp, but I have chosen to use the bamboo separately to smarten up the base card and carry the main theme through. You can do this a couple of ways: 1. Very carefully ink up your stamp directly on the ink pad, or 2. Use our wonderful range of markers and ink only the parts of your stamp you actually want! I have used our Stampin' Pastels and a blender pen to colour the wee birdie. I have used torn paper as a guide for sponging the mountains and then "spot" sponged the sky. 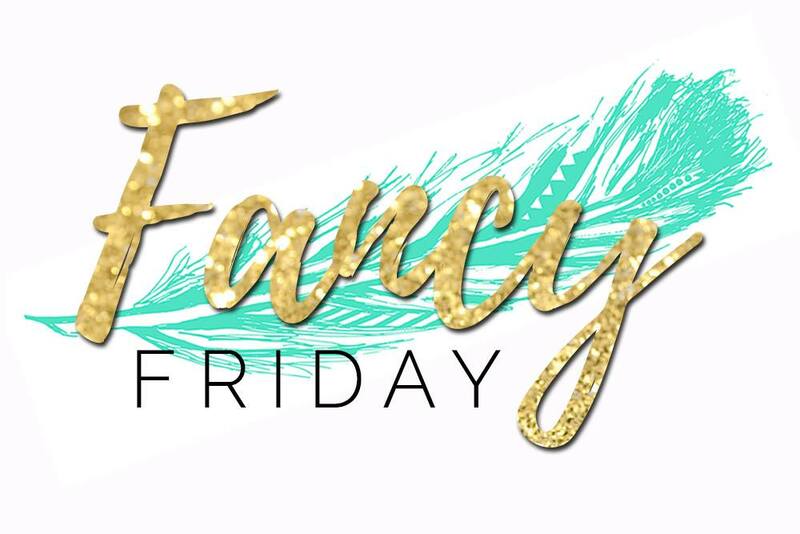 I thought I would throw out a little teaser and show you a sneak peek at one of the projects my Ladies will be making at my Sponging Class on the 28th of June. If you are new to this technique, there are still spaces available, so register your interest by emailing me and confirming your seat! I have CASED this card from Joanna Wassens, although Joanna used a brayer, the sponging effect is very similar. I have also altered colours and images, but the over all layout is the same! I love monotones, and obviously, this is no exception! 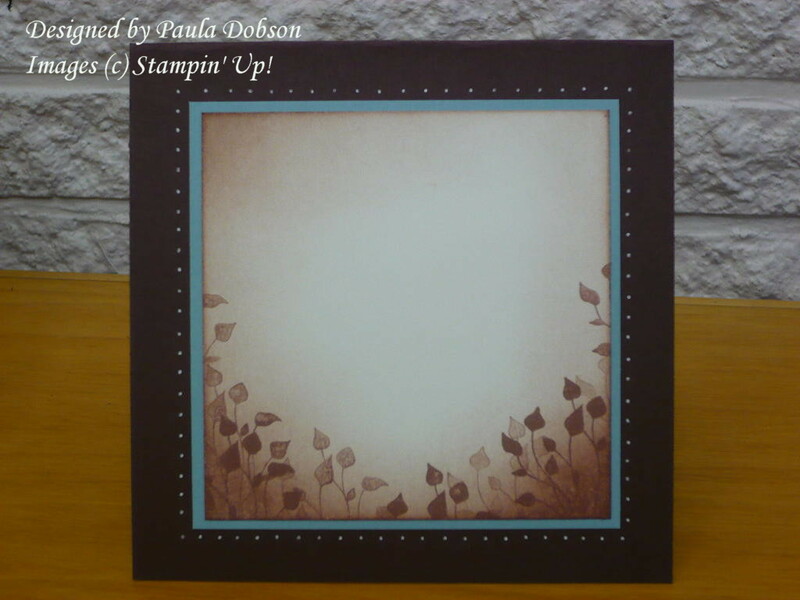 This is a great little card to learn how to graduate colour when sponging onto a plain white card base. 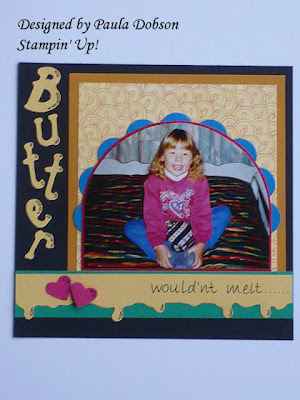 Add a stamped image over the top, and BAM!, you have a card made in under 10 minutes. Gotta love that! The challenge for Just Add Ink this week is a sketch challenge. You can use this sketch for any project you wish to create and use it as a rough guide. Again I decided to create a Scrapbook page, mainly because I have so many photo's that are just sitting in a box, that never see the light of day! I found a very colourful photo of my daughter when she was about 6 years old. She looks so sweet and innocent! Those of you who follow my blog will know she has just celebrated her 16th! Birthday. Sixteen year old Girls are a law unto themselves, so this page serves as a reminder of what was and what (I desperately hope) is to come! The colours I have used on this page were completely dictated by the Duvet cover she is sitting on and the clothes she is wearing. For a change, I am happy with the way the page has turned out. It only seems like yesterday when my daughter was born! Last Tuesday saw her celebrate her 16th Birthday. OMG!! Where has that time gone? 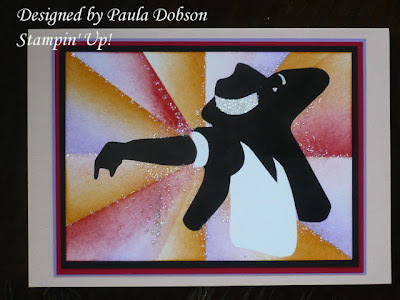 She is a huge fan of Michael Jackson and wanted me to make her a MJ Birthday Card. Not asking for much, is she?! Anyway, not to disappoint, I came up with this wee card I thought I would share with you. 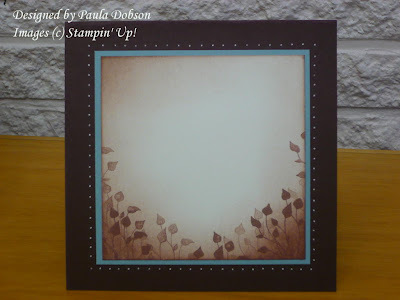 Using all Stampin' Up! products, but not a stamp in sight! I have sponged the entire card, silhouette and all, and glamed it up with Dazzling Diamonds. Those of you who know me, know I am totally allergic to sewing in any form (except cross stitch, lol). So this latest challenge at Just Ink made me shiver! I was not about to break out the sewing machine, that's for sure! Just as well I know how to "Faux" stitch. The stitching you can do without pulling out a machine! 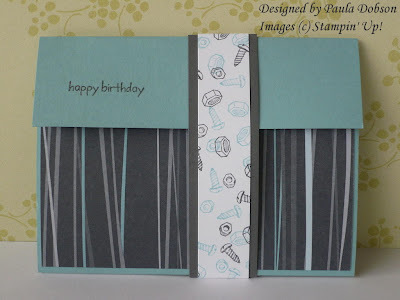 I have created a card folder this week, that store three cards on one side and three envelopes on the other, tied together with Chocolate Chip 1/4" grosgrain ribbon. I had a request for a 21st Birthday card for a male friends Niece last week. Typical male though, couldn't tell me what sort of things or colours she liked, so I was really working blind with this one. I love entering challenges when I have time, because quite often we are asked to put colours together that we wouldn't normally do. 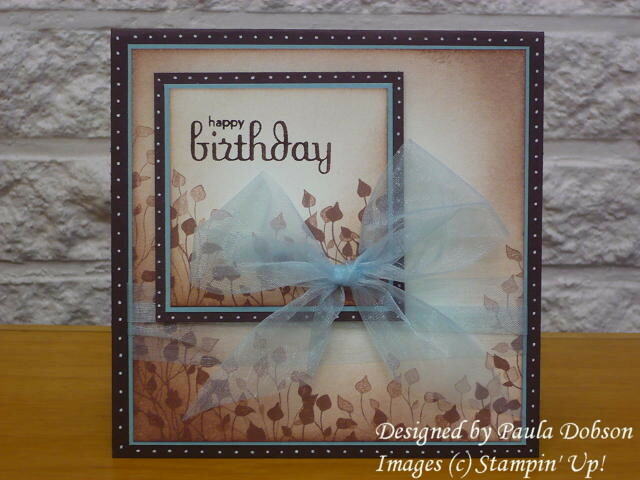 I wanted this card to be feminine without being overly girlie, so chose to use Chocolate Chip and Baja Breeze. I have added Organza ribbon in Blue and used white gel pen to add the white dots around the mats. 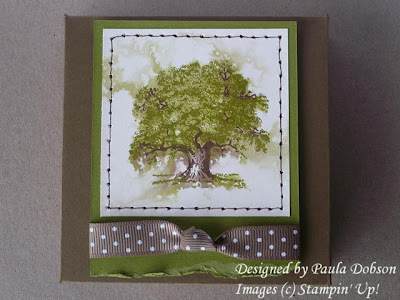 I have used Pocket Silhouettes stamp set and Close to Cocoa ink to stamp and sponge. 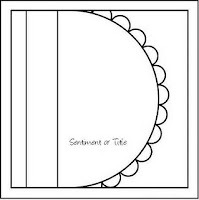 I have also carried over the outside images to the inside of the card as well. As much as I loved all the Convention swaps I received, there was one in particular, that took my breath away. 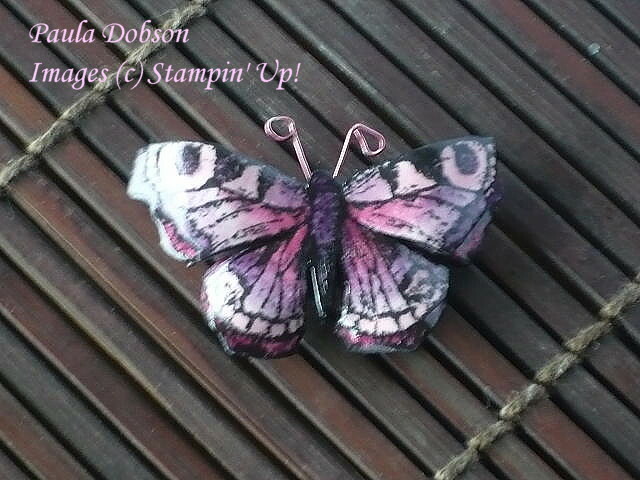 Not a card, or scrap page, but a Butterfly Brooch! It is so gorgeous, I just had to come back and try to make one myself. As it turns out, I have made 6!! The Upper Hutt Craft Market is on this Saturday and I just had to make a few of these little beauties to sell. This was my first attempt and I was thrilled with how well it turned out. They are quite easy once you get the hang of them, but very time consuming. Lots of waiting around for things to dry, but well worth the wait, don't you think? 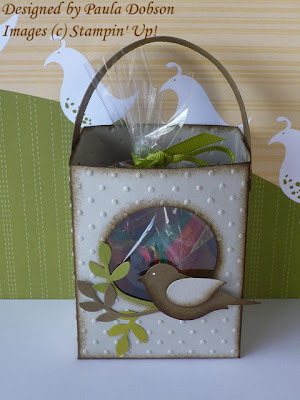 When I do workshops for other people, I always make a door prize that can be won by one of the attendees. I like to show the versatility of the Stampin' Up! products. 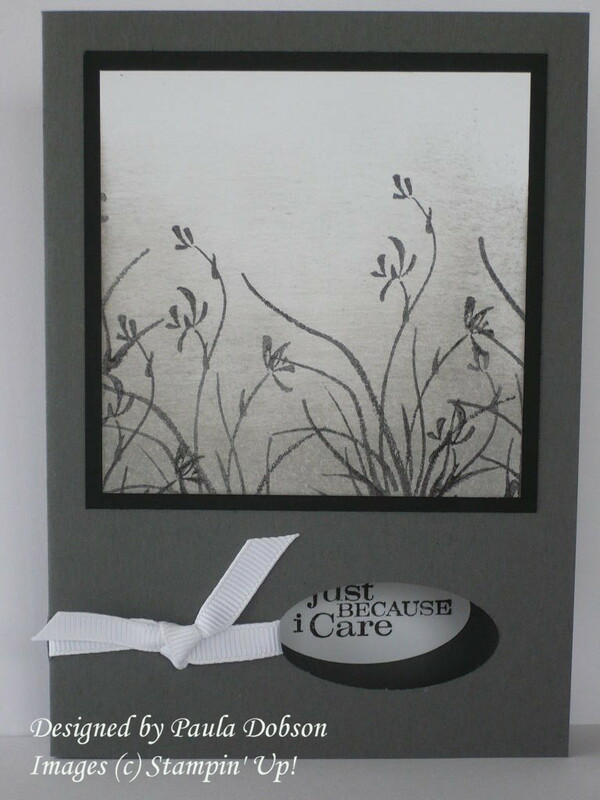 Think outside the square, we are MORE than just scrap book and card supplies! I will fill this wee Pizza box with chocolates or another hand made product. I always hope that it will inspire the receiver to have a go at making things themselves! I have used my favourite stamp set "Lovely as a Tree" to create the topper. First, I spritzed water on the Very Vanilla card stock to get it nice and wet. Inked up and stamped my image. This causes the ink to run all over the place, a really awesome effect. Once dry, I stamp the image again for nice crisp lines. I have added faux stitching and ribbon to match the colours I have used, then "grunged" and tore a co-coordinating piece of card stock mat.